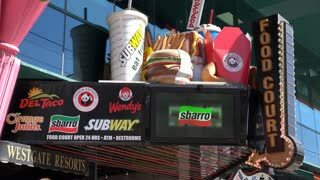 Search Results for "fast food restaurants"
Burgers with fries and drinks. Top view of bistro table. Fast food restaurant's morning menu. Fresh food and hot drinks. HONG KONG, CHINA - CIRCA JUNE 2014: Burger King fast food restaurant. Burger King is a global chain of hamburger fast food restaurants. McDonalds restaurant and sign on the outskirts of Linz. McDonald's is the world's largest chain of hamburger fast food restaurants. Brussels, Belgium Greek fast food restaurants, close to Grand Place. Night view of comfort food restaurants with outdoor seating & Hellenic region names as Hellas, Plaka and Mykonos. Motion of people coming and leaving main entrance of McDonald's restaurant. McDonald's is the world's largest chain of hamburger fast food restaurants in 119 countries across more than 36,000 outlets. CHIANG MAI, THAILAND - CIRCA FEB 2014: People visit Mcdonalds restaurant. The McDonald's Corporation is the world's largest chain of fast food restaurants. CHIANG MAI, THAILAND - CIRCA FEB 2014: Mcdonalds restaurant. The McDonald's Corporation is the world's largest chain of fast food restaurants. 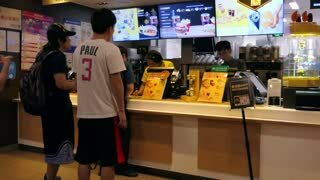 CHIANG MAI, THAILAND - CIRCA FEB 2014: Young man enters Mcdonalds restaurant. The McDonald's Corporation is the world's largest chain of fast food restaurants. AYUTTHAYA - MAY 6 : McDonald's in Thailand at sunset, Corporation is the world's largest chain of hamburger fast food restaurants, during the day hours on May 6, 2018, Ayutthaya Thailand. 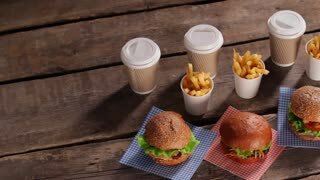 UNITED STATES 1970s � Many fast food restaurants in the United States offering burgers. MOUNTAIN VIEW, CA/USA - JANUARY 24: People eating at McDonald’s in Mountain View, CA on Jan 24, 2016. 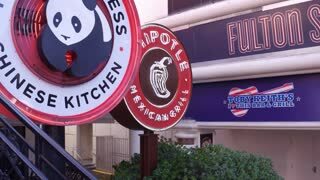 It is the world's largest chain of hamburger fast food restaurants. One side of Burger King drive thru and front door. Burger King is a global chain of hamburger fast food restaurants. One side of Burger King drive thru with car buying food and leaving. Burger King is a global chain of hamburger fast food restaurants. One side of Burger King drive thru with car buying drink with 4k resolution. Burger King is a global chain of hamburger fast food restaurants. Motion of McDonald's logo. McDonald's is the world's largest chain of hamburger fast food restaurants in 119 countries across more than 36,000 outlets. BUCHAREST, ROMANIA - FEBRUARY 15, 2016: People Eating At Fast-Food Restaurants In Luxury Shopping Mall Interior. At the funfair in NYC, there are many dining options such as restaurants, fast food or picnics in 1964.